The dancers in the piece are tethered to TENS muscle stimulators that react to musical cues and interfere with the smooth movements of an otherwise perfect performance. 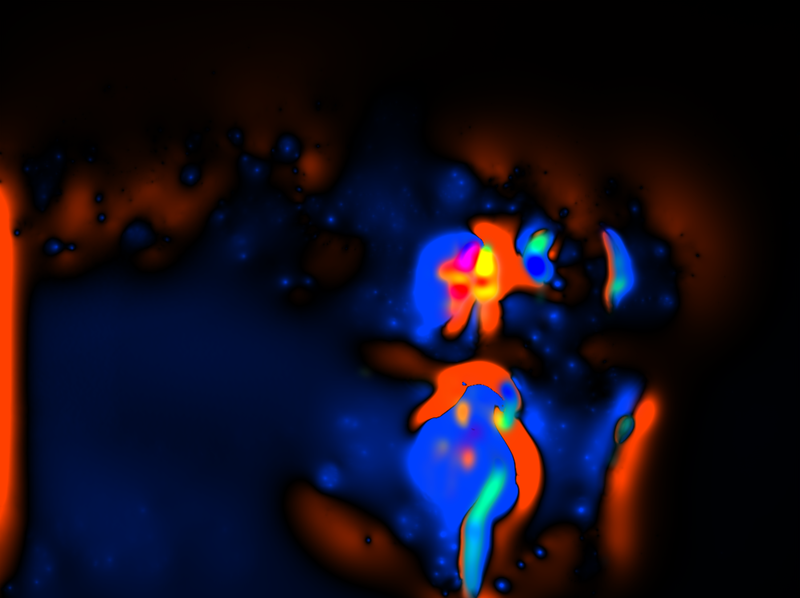 A visual system tracks the dancers' motion and, using an optical flow algorithm, projects smoke- and fire-like visuals on the back screen, further expressing the intensity of the performance with a heat-map aesthetic. 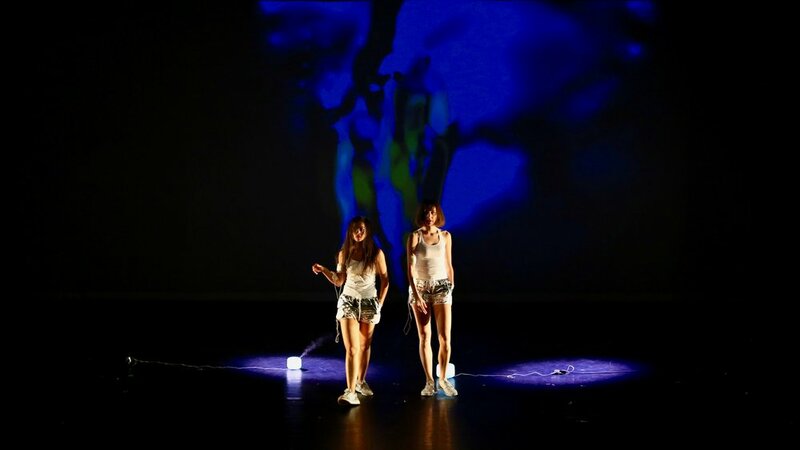 The piece was conceived and developed for the NYU Tisch Dance+Technology annual performance, Danceworks IV. 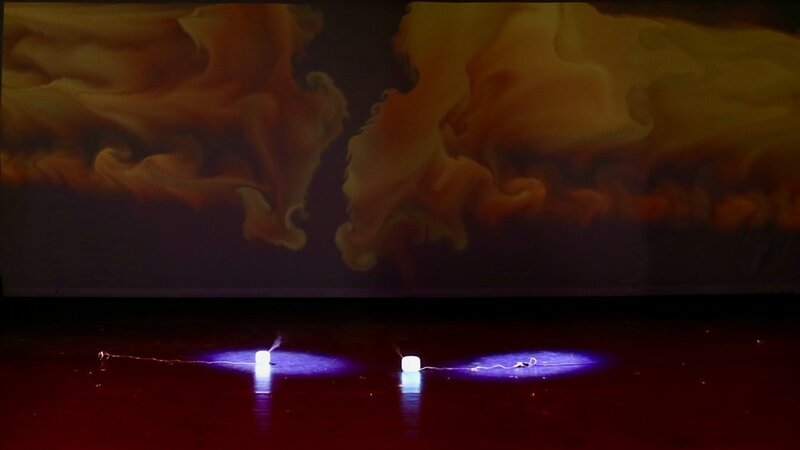 V/R (Intensity) is a dance+technology performance that imagines a near future in which machines become ever-more present in daily human life, taking on not only mundane repetitive tasks but also acts of creativity and performance. The piece presents humanoid dancers as they are unwrapped from their packing and present their maiden performance, but this performance is repeatedly interrupted due to mechanical failure. In doing so the piece explores imperfection, degradation and disruption in the age of perfect automation, defying the shiny and eternal perception of a careless future taken care of by robotic companions.